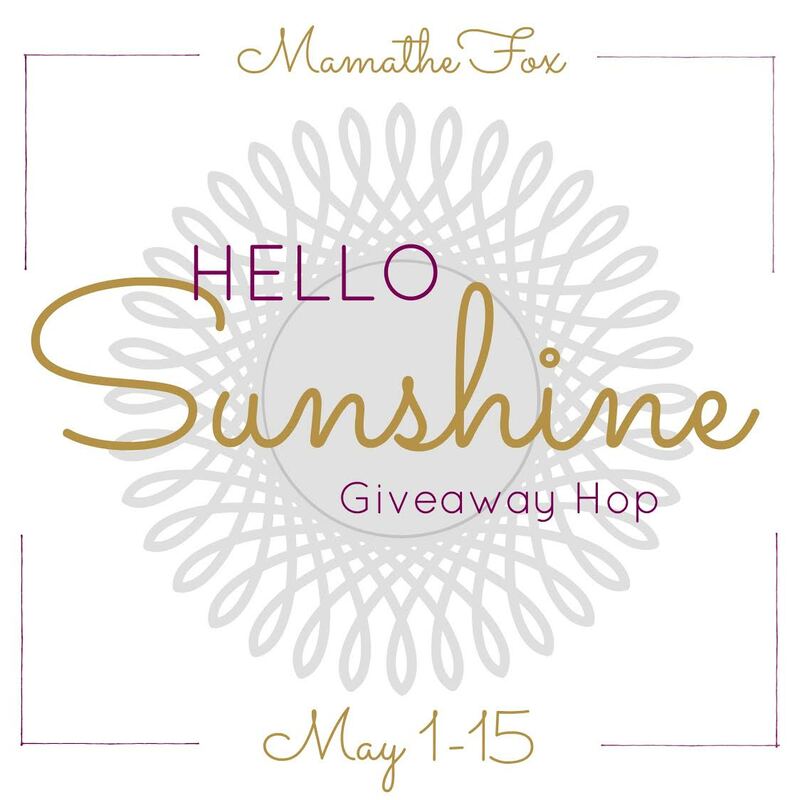 From now through May 15th, hop along to all participating blogs for a fun variety of family friendly giveaways that you can win! There is no limit, so be sure to enter them all! Good luck! Still on the search for that perfect Mother's Day gift? It's a tough decision, right? 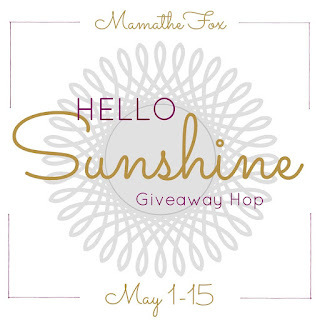 Moms do so much for their families and we want to make sure that we are finding the perfect gift that truly shows them just how much they are loved and thought of. We want something unique, thoughtful... something she is sure to love for many years to come. Motherhood is rough... but it's much tougher if we cannot laugh about it too. 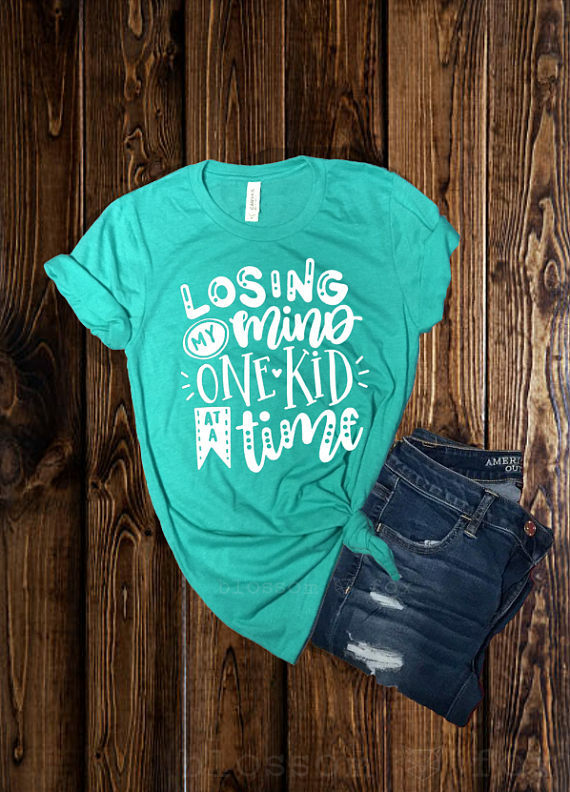 Fun tees like this one from BlossomFoxSVG are a fun way to celebrate motherhood and okay... poke a little fun at it too. Jewelry is one of those Mother's Day staple gifts and for good reason... they're something that can be used for many years to come. I personally love personalized jewelry--- charms or stones to represent my children, engraved pieces, etc. 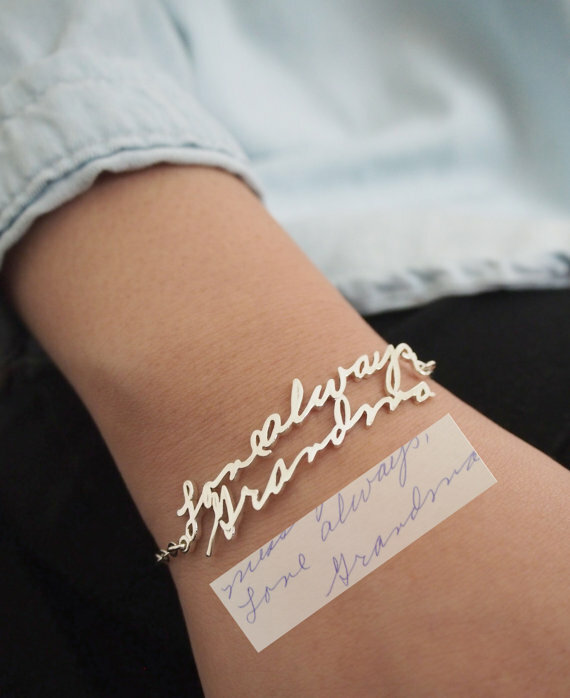 This handwriting bracelet from CaitlynMinimalist takes that personalization to the next level. When you have little ones, a fun BIG bag is a must--- even long past our diaper bag days, we seem to always have a collection of toys, games and everything else imaginable in our totes. 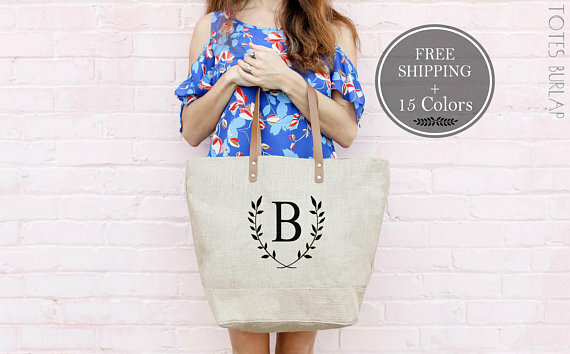 I love this simple mongrammed style from TotesBurlap. Classic perfection. Motherhood can be a little stressful- journaling can be a great stress relief... or a great way to record all those moments with our children. The funny stories, the silly quotes. No matter what you use it for, a nice journal can truly be a great gift. 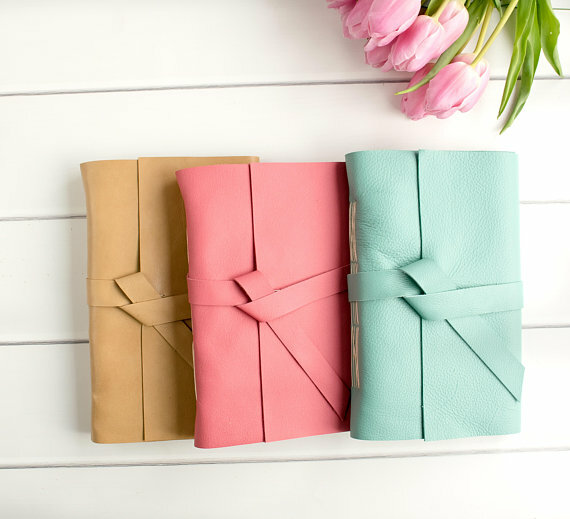 I am personally loving the beautiful covers from these journals from SchaferArtStudio. Stunning, right? For the mom who loves coffee, what could be a greater gift than a special new mug? These tend to be a very affordable gift that moms are sure to enjoy. You can even make it even more special by creating a gift basket with her favorite coffee too! I cannot help but smile when I see this fun option from MostToastyGoods. Photos are ALWAYS a great gift for moms and grandmas alike... after all, we love showing off our babies! 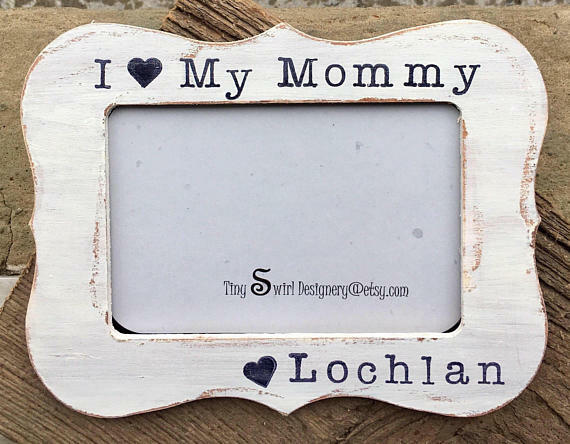 A fun custom picture frame takes that simple gift to the next level. I am loving this sweet and simple design from TinySwirlDesignery. I am personally a little obsessed with wall art, but it truly is a great gift that every mother is sure to appreciate. 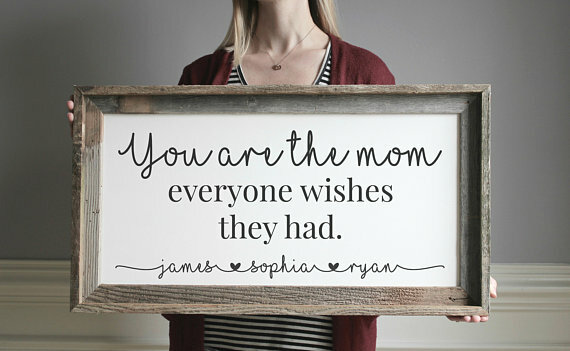 A fun piece of art with a quote can be a great way to let moms know just how we feel about them. I am loving this cute piece from EmmaAndTheBean. 8. Bath & Beauty Sets. As moms, we are often so busy taking care of everyone else that we end up forgetting to take care of us. A great bath set that encourages mom to relax and take care of her truly is an idea gift that every mom can appreciate and benefit from. I am loving this all natural body care set from MereSoap. The ideal Mother's Day gift! Yes, as you can see Etsy has a great variety of items that are ideal for this Mother's Day... and when all else fails, an Etsy gift card will let mom spoil herself however she desires! 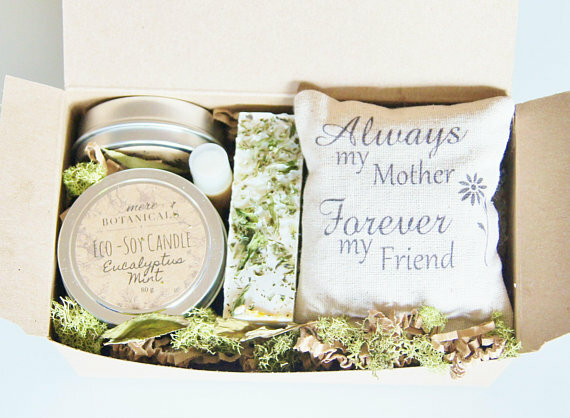 Head on over to Etsy to find more great gifts for the mothers in your life. I love shopping on Etsy! They have a lot of cute things such as personalized necklaces. Known about etsy for like 8 or so years now, I bought like 2 things in total there. Ive been on etsy for about 5 years now and am thinking about opening my first store on it! I love shopping on Etsy! You can find some really fun and cool stuff on etsy. I enjoy looking at all the different Mickey ears people make. These are really great unique gifts, love them!! 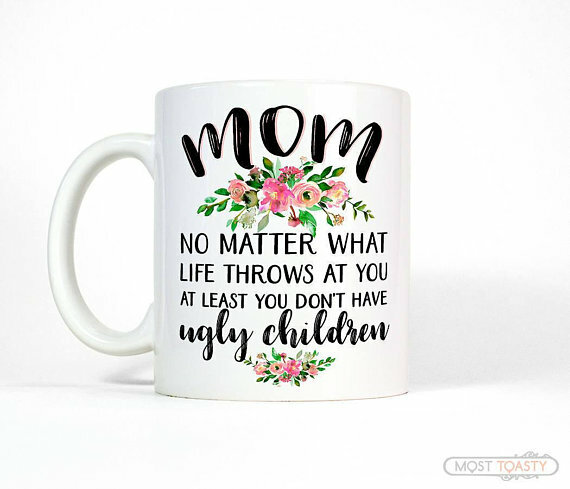 I especially like the ugly children mug!! I love personalized jewelry! It's such a great gift! I like to shop on Etsy. I love Etsy! I would like to thank you so much for your involvement in the giveaway and for giving a chance.